Lawn Mount Oval Address Plaque - - custom made oval lawn sign ships with one black steel lawn stake. Free Personalization. Made in USA. 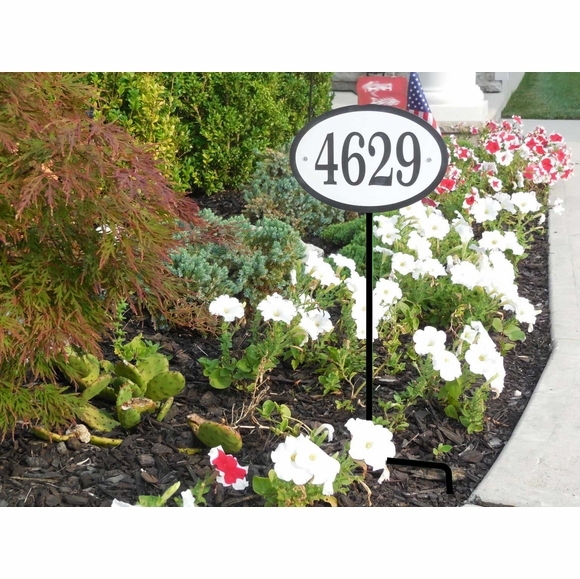 One-line home address sign holds up to four large numbers or letters. Color: black (green is no longer available) . To purchase a wall mount oval address plaque to hang on a porch, gate, fence, or wall, click top link in Related Products.